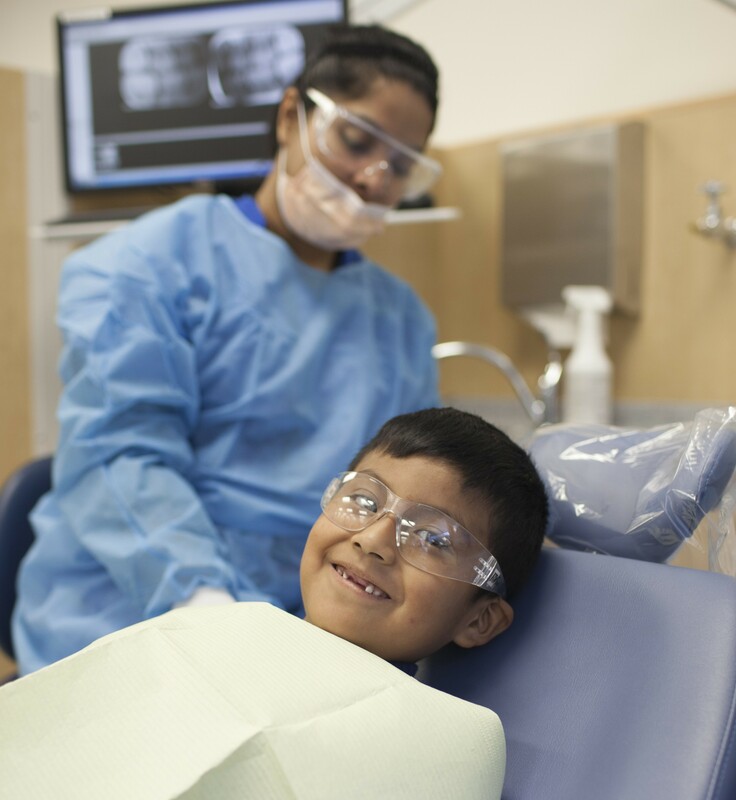 As New Jersey’s largest oral healthcare provider, we received more than 125,000 patient visits in 2016. Our pediatric patient visits numbered nearly 7,000. Part of their curriculum includes training in “cultural competency,” which teaches student doctors to be mindful of different cultural norms and how they might affect patient behavior and treatment. They learn the best ways of expressing respect and sensitivity to a broad range of patients. Post-doctoral students at RSDM include residents at our new Dental Specialty Center, which opened in April of 2016 with $10 million in state funds and $3 million in matching funds. The center is located on the school’s Newark campus and includes 80 new dental operatories and seven surgical suites for teaching advanced implantology, periodontal surgery, endodontic surgery, maxillofacial prosthetic surgery and advanced restorative dentistry. It received annual 32,00 visits since it opened. At Rutgers Health University Dental Associates, our faculty practice, top oral healthcare providers treat patients directly in a private practice setting. Because of their work in academia, care is informed by the latest research and providers are skilled in the newest treatment techniques. In the fall of 2016, we opened a new, state-of-the-art office in New Brunswick, in addition to our faculty practice office in Newark. Both are part of the newly established Rutgers Health brand, which encompasses the clinical components of Rutgers schools, institutes and centers. It is the most comprehensive health care provider organization in New Jersey. Other patient care facilities at RSDM include our Delta Dental of New Jersey Special Care Center, which treats disabled patients and is one of a small number of similar facilities nationally and internationally. Last year, it received nearly 5,000 visits. Our Center for Temporomandibular Disorders and Orofacial Pain is staffed by internationally known experts and researchers who care for many patients with rare disorders and syndromes that have been misdiagnosed by previous providers.